God bless Pinterest! 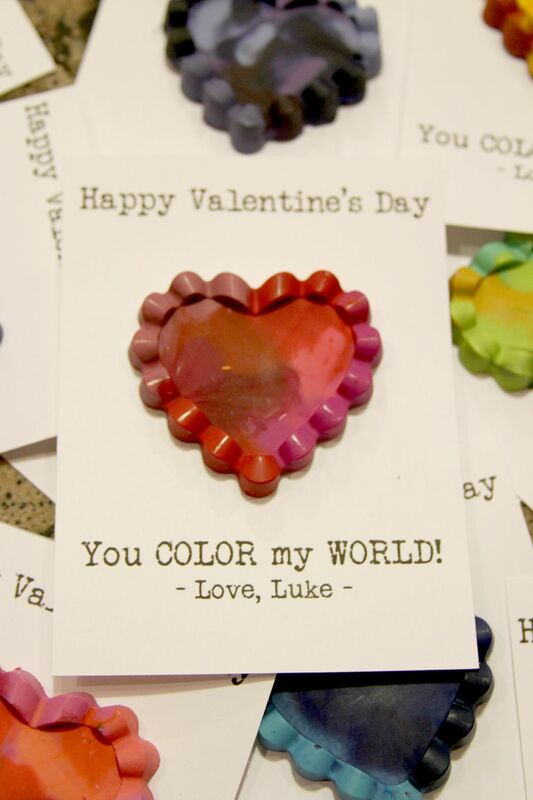 I wanted to come up with some valentines for Luke’s Mother’s Day Out class that didn’t involve candy. 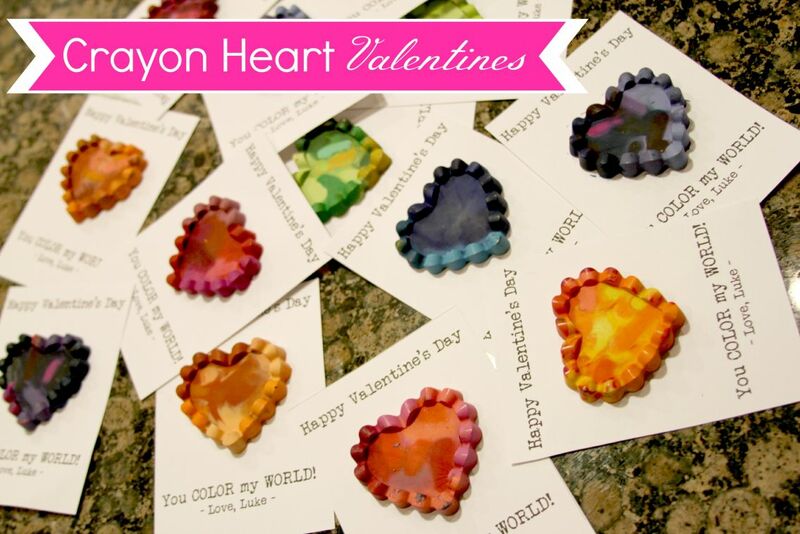 When I saw these adorable heart crayons on Pinterest I knew that I had my solution! 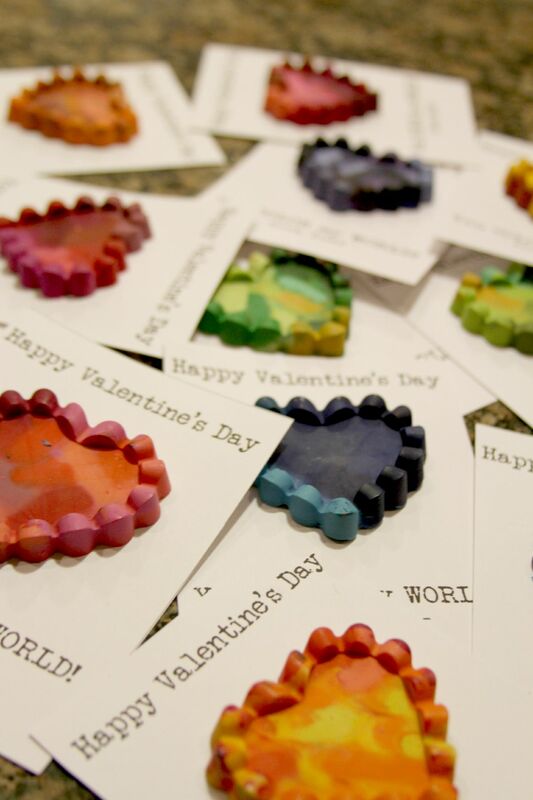 After several bottles of wine, a volunteer friend, many tortured crayons and a Pinterest Fail…we had a classroom of valentines! Preheat the oven to 450 degrees. 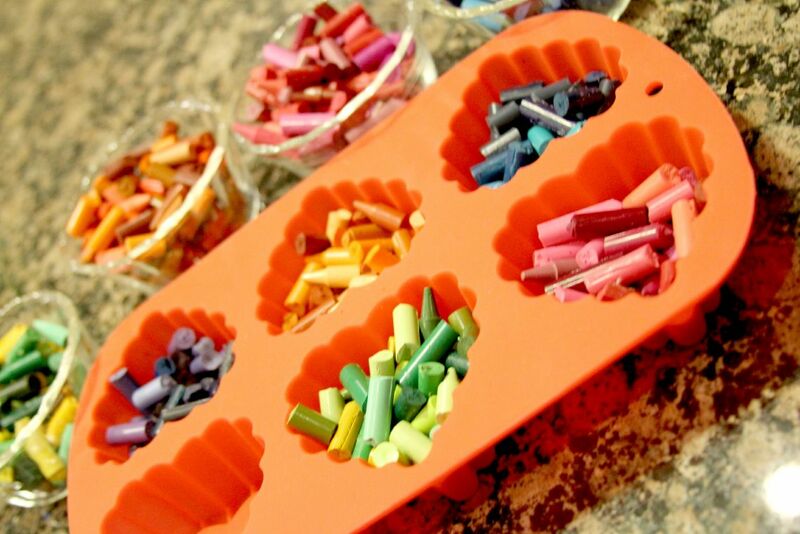 Then peel all of your crayons. I recommend cutting the paper with a box cutter or exacto knife. 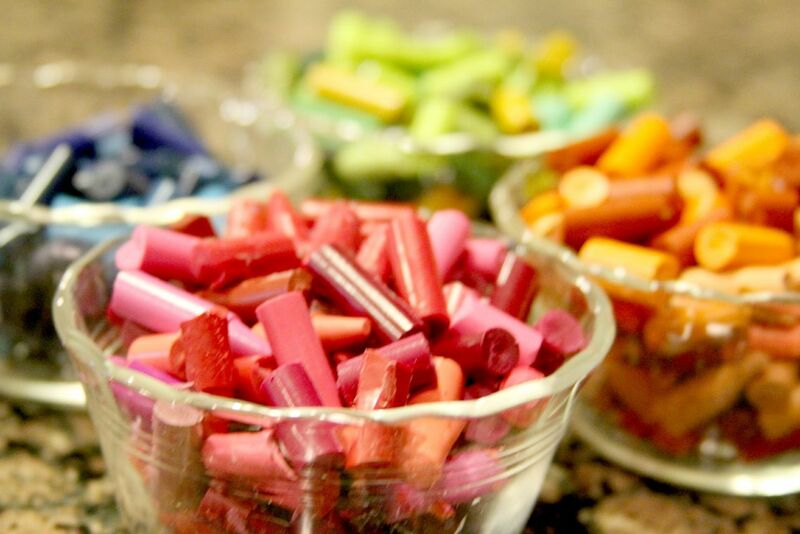 Then just break up the crayons into little pieces that fit inside your mold. 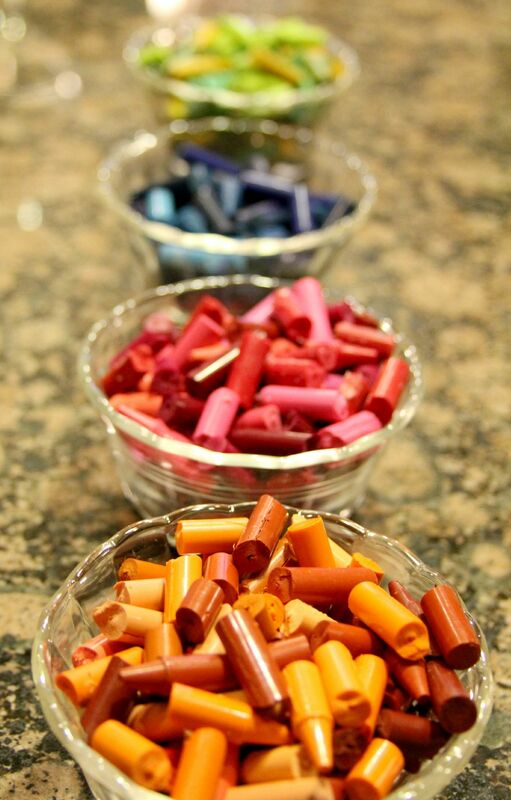 Sort your pieces of crayons into color families. 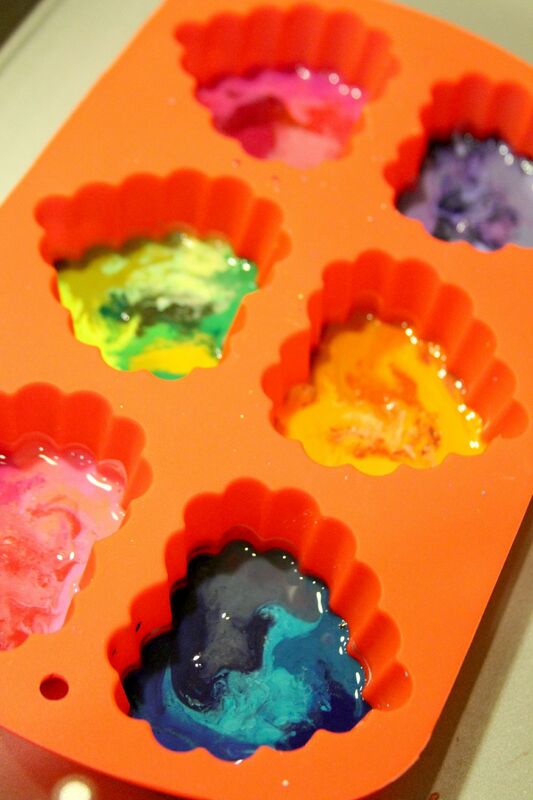 Place handfuls of the broken crayons in the molds and place mold on a baking sheet. Then put it in the oven for approx. 6 min. Watch closely. Carefully remove from oven. We placed the molds in the freezer to cool them faster. Once the molds are completely cool carefully remove from mold and use double-sided mounting tape to place on cardstock. 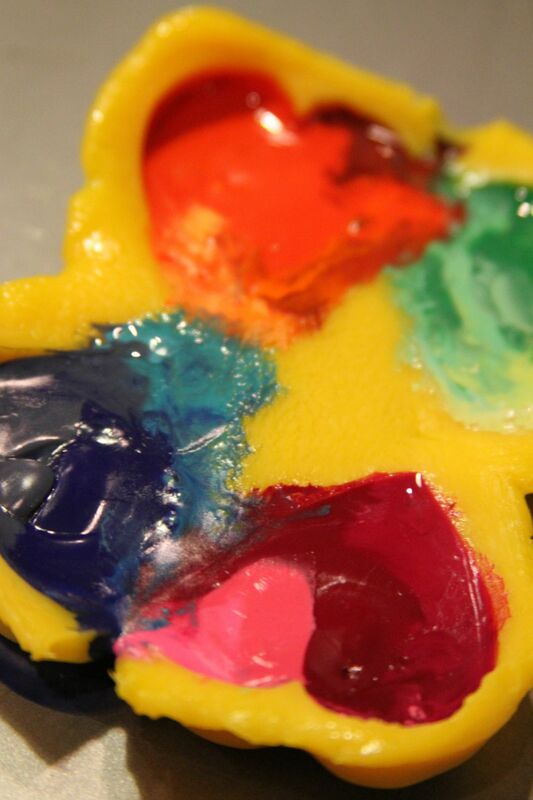 In case you were wondering about my reference to my Pinterest fail…here it is! I sort of neglected to make sure one of my molds was over proof! Oops! 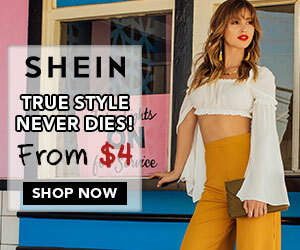 I love all the colors!! I think all the kids are going to have so much fun playing with these! Please don’t forget to add these to your Pinterest! There’s still time to enter to win a $50 gift card to HEB! Awww!! Love you too! Thank you!! These turned out really cute!! Great option over candy and useful too! I’m thinking of making these as a party favor for Luke’s birthday. What a simple, yet neat idea. I think I could do this! You totally could! They take a while but are lots of fun! These are really precious! Love the fail pic at the end — keeping it real! Thank you!! The pinterest fail was a major idiot moment on my part. Completely forgot to check and make sure one of the molds could go in the OVEN!! These turned out adorable! I must admit, loved your Pinterest Fail image though. Glad you turned it around and knocked it out of the park! Thank you!! Definitely need to buy some more molds and make a variety of shapes!